Glenn Maxwell after being dismissed in Hobart. Glenn Maxwell's nose-dive to No.7 in the one-day order is not a tactical ploy but proof the 2015 World Cup hero is holding on for survival. Maxwell could not be blamed for Australia's series loss to South Africa on Sunday, but the only reason he came to the crease so late in the piece was because selectors appear to have lost faith in his ability to bat higher. Four years ago Maxwell was a key figure in Australia's Cup triumph on home soil batting at No.5, but now his best hope of being part of the title defence in England in six months' time is to fill the James Faulkner 'Finisher' role amongst the tail. 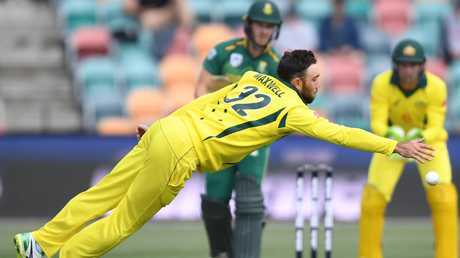 Maxwell's bowling was excellent in Sunday's final and if not for a drop from keeper Alex Carey and a controversial DRS call, he could have taken the two wickets which would have won Australia the match. But the fact Marcus Stoinis and Carey have overtaken Maxwell in Australia's estimations is a huge blow to his credentials, and captain Aaron Finch admits selectors have been left with little choice. "If you look at Glenn's stats recently he probably hasn't made as many runs as he would have liked as a pure batsman," Finch said. Glenn Maxwell in action for Australia against South Africa in Hobart. "Therefore for him to be in the side and as an all-rounder he's probably batting in that No.7 spot. "I think with guys playing reasonably well around him … Stoinis played really well at five and Alex in his couple of opportunities at five and six he's played excellent. "Maxi would have liked some more runs and obviously wants to bat higher but the reality is he's in the side as a bit of an all-rounder but hasn't scored as many runs as he needed over the last little while in one-day cricket to justify taking up a top four spot. "That's just the reality at the end of the day." 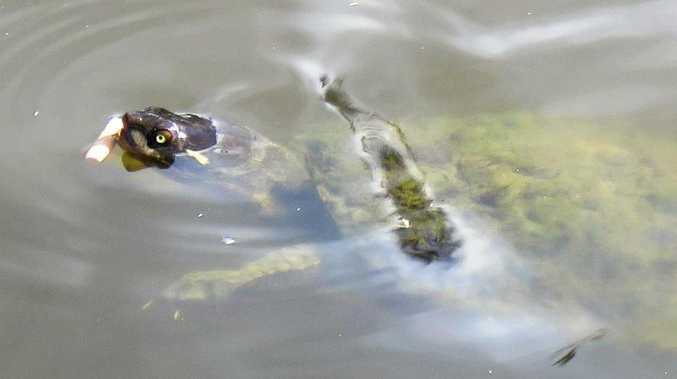 Glenn Maxwell dives for a ball hit by David Miller. Australia will re-evaluate its one-day strategy and personnel before the next ODI series against India in January. In the meantime, Maxwell can re-cement himself by starring in the upcoming Twenty20 matches against South Africa and India and also going back to Victoria and making a statement in Sheffield Shield cricket. 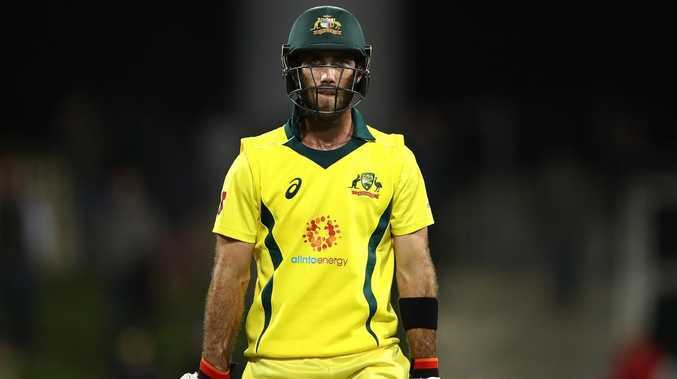 Coach Justin Langer has made it clear he doesn't think Maxwell has made enough centuries in any form of cricket and after being overlooked for Test cricket, now his once-guaranteed ODI place is under threat.